MNET will air a female rapping survival show at the end of the month and the half of its 8 participants have been revealed. The hip hop program 'Unpretty Rapstar' is a spin-off survival program of the hit 'Show Me The Money'. This is the first female rappers survival program which compiles the talented female rappers who will compete in a fierce battle. Today, MNET reveals four of its eight participants including Jessi, AOA's Jimin, Tymee, and Cheetah. The four are going to undergo tough challenges along with remaining half and will get an opportunity to have an album produced. 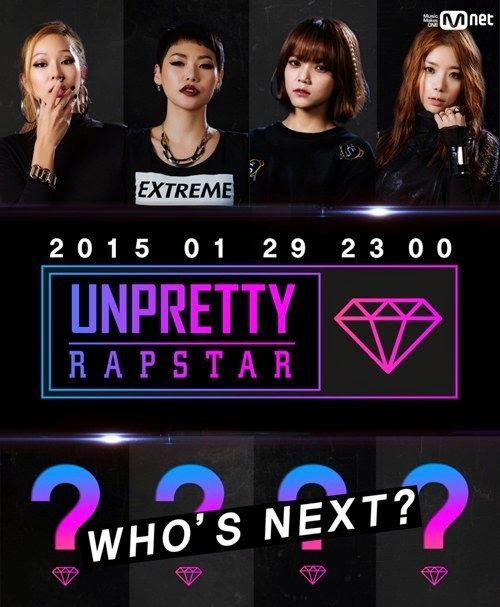 Meanwhile, 'Unpretty Rapstar' premieres on January 29 at 11PM(kst).